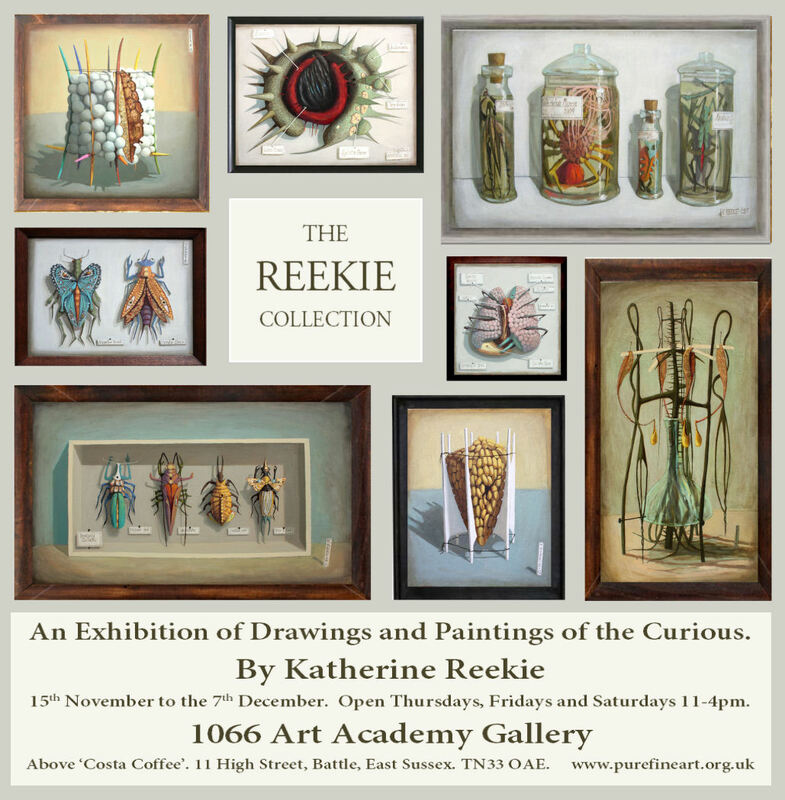 The 1066 Art Gallery presents The Reekie Collection – an exhibition of works by Hastings-based artist Katherine Reekie. Through this collection of intriguing and often amusing images Reekie has explored our fascination with natural and scientific museum exhibits – unfamiliar forms preserved and presented for curious minds. We all have a voyeuristic nature. Our grandparents looked into glass bottles to observe Nature’s curiosities, today we gaze into glass screens. Loosely based on genuine specimens, the works have an air of authenticity and importance. However, on closer inspection the objects depicted will be just as much an illusion as form and depth are in art.